Do you assess your seasoning by how well it pours? Stop! So-called “table salt” is rock or ocean salt that’s mined, heat blasted, chemically treated and fortified with iodine until it’s devoid of all essential minerals and nutrients. 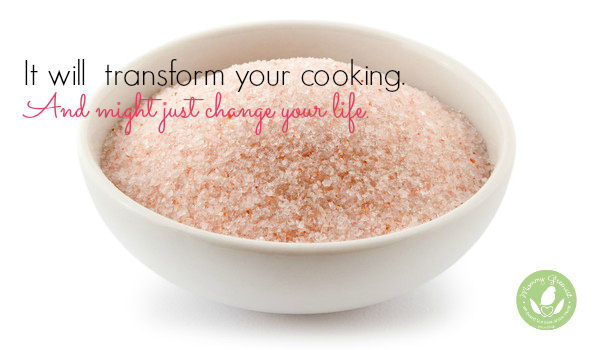 Use this simple tip to cook better, forever! To cook better meals for taste and health, look for organic, artisan salts, like this kosher Himalayan Pink Salt or Celtic Sea Salt. These salts are packed with trace elements and minerals like calcium, magnesium, potassium, copper and iron. But most importantly, they just make food taste better. And who doesn’t want that? Thank you for sharing the dangers of chemicals in our kids toothpaste. One item missed is the neurotoxin Fluoride. There are numerous studies linking fluoride to reduced intelligence and brain damage. Countries like Issrael have banned fluoride in drinking water and many other countries are following suit. If you wanted to take fluoride it would require a prescription but it is being put in our water supply and dental paste. Our children are being over exposed. Just goigle fluoride to get more information or go to fluoridealert.org. Thanks again for wanting to keep our children safe!